Jailbreaking allows users to install third party tweaks, apps, themes, mods, helpful utilities, useful contents etc. This enables clients to get even more from their gadgets. However, you should know that Apple prevents their products from running unauthorized applications for many reasons, but first of all, for the security. Jailbreak iOS 6 will let you run these applications, therefore several of those Apple security measures have to be disabled and shut off. 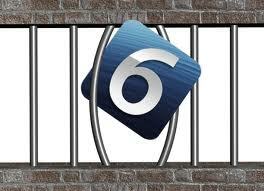 For more information on jailbreaking, check out this blog http://www.jailbreakingios6.com/. People worry about whether jailbreaking has an impact on their battery life. This is a myth. What you install after jailbreaking will impact your battery life. However, any tweak designed to modify your device temporarily will take more power than a stock device. Despite the term “jailbreaking” and the chatter, this process itself is legal. It is illegal to instal App Store applications without paying for them. In case you pay for everything, you stay legal and you can enjoy running attractive application on your jailbroken device. However, jailbreaking is going to void the warranty. So, if you have such a heavy conscience, jailbreaking is not recommended for you. But, before making decision, check out Jailbreak iOS blogs and forums and ask for help and suggestions. Even though it lets you use your device even more, jailbreaking is simple and if you read and follow instructions carefully, you will not damage your iPhone. Users who like fancy applications simply need jailbreaking to let them run some really special tweaks, mods etc. But, even common users who just want to use some packages allowing them to extend some features in order to use their devices in more convenient way (for easier text messaging, media management, quick replies etc). Jailbreaking is certainly energy, money and time saving experience you should try without fear.